You know that feeling when you finish a great book and you’re still kinda…hungry? Bring on a heaping helping of seconds, we say! 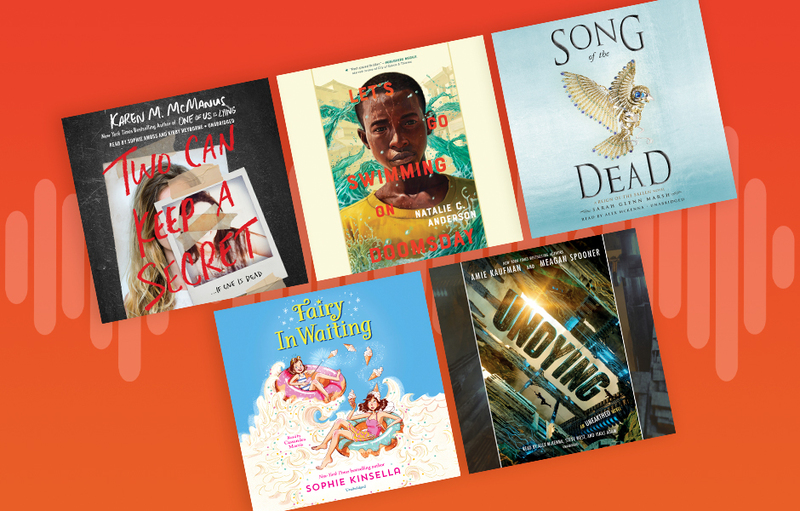 Whether it be the second book in a series or the second book by a newly-discovered author, these just-released listens are fresh from the studio and perfectly seasoned. Dig in! In the much-anticipated sequel to Unearthed, Mia and Jules are trapped aboard the Undying’s ancient spaceship and desperate to warn earth of the dangers ahead. But after surviving the crash-landing home, no one believes them—and they are forced to take matters into their own hands. From the mountains of Spain to the streets of Prague, this audiobook is a white-knuckle ride that will keep listeners guessing until the final moments. Forced to become a child soldier, Abdi is a sixteen-year-old Somali refugee who confronts his painful past in this tale of loss and redemption. This is critically-acclaimed author Natalie Anderson’s second audiobook (following City of Saints & Thieves), and it’s just as powerful, mysterious, and nuanced as the first. Beautifully narrated by Kevin R. Free, with Natalie C. Anderson reading her Author’s Note. This is the second audiobook from the New York Times bestselling author of One of Us Is Lying. Echo Ridge is small-town America. Ellery’s never been there, but she’s heard all about it. Her aunt went missing there at age seventeen. And only five years ago, a homecoming queen was killed. Now Ellery has to move there to live with a grandmother she barely knows…and soon finds herself uncovering some very dangerous secrets. Author Sarah Glenn Marsh interviewed narrator Alex McKenna about Reign of the Fallen! Read that interview HERE. And if you’re in the mood for a younger listen with a hefty sprinkle of sparkles, check out the second audiobook in the Fairy Mom series. Glittery wings, magic codes, and multiplying ice cream cones combine in this follow-up to Fairy Mom and Me #1 by New York Times bestselling author Sophie Kinsella and narrated by Cassandra Morris.